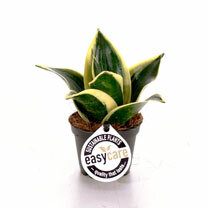 Popular houseplant with waxy, often shiny leaves. Deep green with yellow edges and so easy to care for. 6cm plant.